The Windows 10 Store team has been making some great fixes and improvements to reliability and performance. To ensure you are able to benefit from these important updates, starting July 24 we will be requiring Insiders who are not running the latest Windows 10 operating system to upgrade their PC; otherwise those affected will be unable to experience the Windows 10 Store. Check Windows Update to make sure you have installed the latest build and the most recent updates. Enjoy the improved Windows 10 Store! 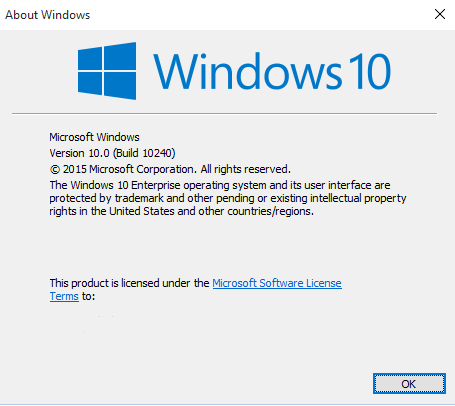 You’ll be all set once on the latest OS build 10240. Most of you will be able to experience our improved Windows 10 Store with no further action required, while a few might see a notification that says “Pardon the Interruption” and a button that will allow you to update to the latest Store version. As always, thank you for your continued feedback to help us make Windows 10 a great experience for our customers!